I’ve been a label reader for years, mostly on the lookout for high fructose corn syrup and/or sugar. My friend Deb and I went to see “Fed Up” the other night, and while I knew a lot of what they talked about, it was good to see if from the perspective of kids. See, the movie is about all the hidden sugars in our food, and the amount we eat nowadays. Have you ever read the labels on what you buy? You’d be surprised. One of the families in the film thought they were cutting out “the bad stuff,” but there were still Cheez-its and other highly processed snack foods. Since they didn’t SEEM like a sweet food, like cake or candy, the parents didn’t see what was so wrong with it. Their kids were obese, and wanted to lose weight desperately, but they kept gaining. They exercised more than most people, but kept getting bigger and bigger, all because of sugar. If you think that only sweet things have sugar, guess again. Bread, salad dressings, crackers, and pretzels, all have sugar in them. If you’re trying to lose weight, you need to read labels. 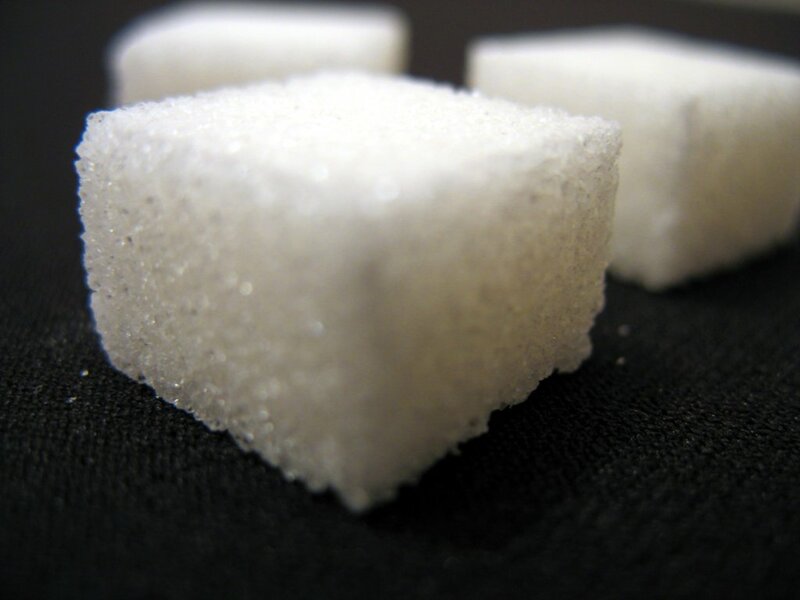 Learn the different terms in the ingredients for sugar. And stop eating them. Last week, two days were spent moving, and a couple more unpacking. I didn’t get to hike for almost a week, and it killed me! I strayed from my normal eating, because I couldn’t find half the stuff I needed to cook. I’m ok with it, though! I have been doing this since February 3rd. This is the first time I didn’t lose at least 2 pounds. I knew it was coming. I’m happy, though, that at least it was just a pound. My chiropractor said I have been doing very well, and rarely sees someone lose weight as consistently as I have. I work really hard, but I didn’t last week. Part of life, and it just means I’ll work extra hard this week. So far, I am down 27 pounds total. I can’t be upset with that! This is what I eat for breakfast every day, along with 2 fried eggs and a dash of freshly-grated parmesan. 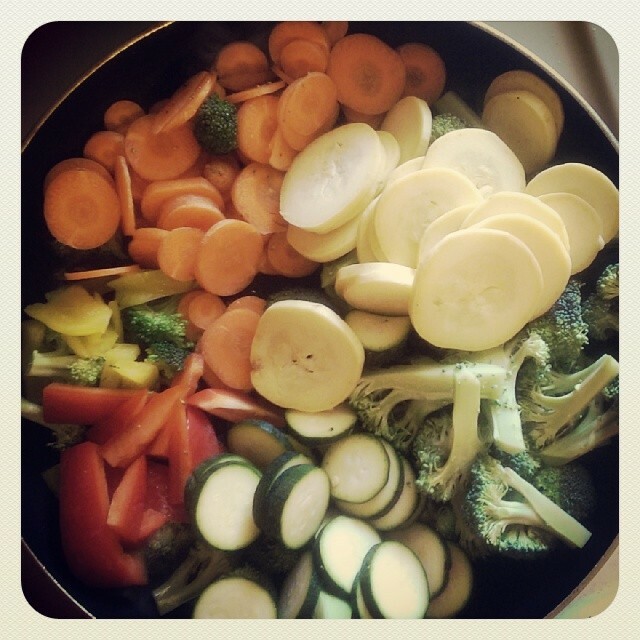 I make a big pan of the veggies, and stop cooking about 2 minutes before they would be considered “done.” I re-heat on my stovetop (I threw out my microwave), and don’t want anything over-cooked. As you can see, variety is best. You can add whatever else you want. I sometimes add mushrooms. I like slicing portobellas and adding them.